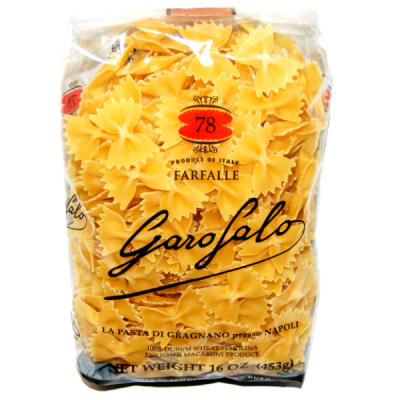 Farfalle are bow-tie shaped pasta. The name comes from the Italian word farfalla, meaning butterfly. Farfalle is often served with light vegetable sauces as a summer pasta dish or in pasta salads.